The Persian Gulf War (August 2, 1990 – February 28, 1991), commonly referred to as Gulf War, was a war waged by a U.N – authorized coalition force from thirty-four nations led by the United States and United Kingdom, against Iraq. The Persian Gulf War started with an extensive aerial bombing campaign on 17 January 1991. The aerial combat mission was called Operation Desert Storm and the F-117 Stealth bombers aimed precise laser- guided bombs at key targets in Baghdad. The first priority for Coalition forces was the destruction of the Iraqi air force and anti-aircraft facilities. 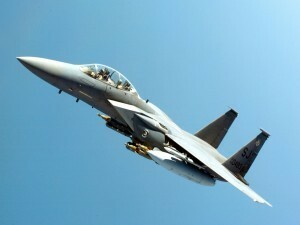 The United States immediately began a mobilization to the area by sending 48 McDonnell Douglas F-15 Eagles. F-15C, D and E models were also deployed in support of Operation Desert Storm where they proved their superior combat capability with a confirmed 26:0 kill ratio. F-15 fighters accounted for 36 of the 39 Air Force air-to-air victories. 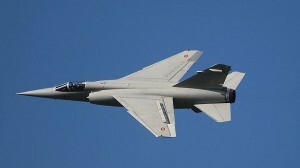 The F-15′s were used against the Mirage F1 and they achieved a high kill ratio. F-15Es were operated mainly at night, hunting SCUD missile launchers and artillery sites and also hunting the Iraqi Aircrafts that included Antonov An-12 ‘Cub’,Dassault Mirage F1 and Mikoyan-Gurevich MiG 21MF ‘Fishbed-J’. I am a Software Development Engineer and I am interested in Artificial Intelligence, Robotics, Neural Networks, Weapons Technology etc. I follow day to day geopolitical events and technological advancements very closely and enthusiastic about expressing my opinions on them. In future I wish to establish my own company. Young that I am, I am slowly learning and pacing towards fulfilling that goal. I also own the blog :- "www.combatgears.wordpress.com" which is popular in North America, Europe, India, Australia and Far East countries. I plan to expand this blog into full fledged defence journal in recent future. Me and my team constantly strive to produce quality and informative contents for our site at the same time present it in an interesting manner. Posted on January 3, 2013, in Uncategorized. Bookmark the permalink. Leave a comment.